– Customers will have convenient access to information that helps explain available billing rate structures and options, outage information, peak demand, and the impact of energy consumption habits on electric bills. 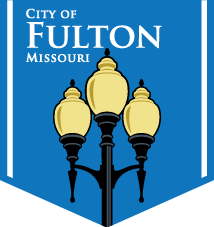 – Information regarding the operational aspects of the Fulton Smart Grid Initiative and related programs will be publicly available through multiple channels. – Customers will be informed and be able to view electricity consumption from a convenient user interface. – Personal information will not be connected to usage data released to any third parties. – Disclosure of energy usage data to any third party is subject to federal, state, and local laws. – Customers will retain control of all in home devices and appliances. Customers may voluntarily participate in a utility managed energy control program and include devices that the utility can adjust as a part of a Demand Response program. This includes programmable thermostats, jacuzzi/pool pumps and heaters, and energy storage systems. – Traditional tiered rate pricing and time of use pricing programs will be offered. Customers may select a billing rate structure that meets their individual needs. Customers will have the ability to change programs. – The City will not alter an individual’s customer-selected rate program (Traditional Tiered or Time of Use) unless the customer is made aware of the change. – Customers can choose how they will receive information from the utility. – Customers may purchase and use compatible devices to further enhance energy savings and control of electricity consumption at their discretion. – All customers have the right to a functioning electric meter and customer web portal that will provide secure, confidential, and accurate electricity consumption data. I am working on a project where I have to dig a hole in the yard. Do I need to take any extra steps before beginning the project? What should I do if I suspect a natural gas leak?